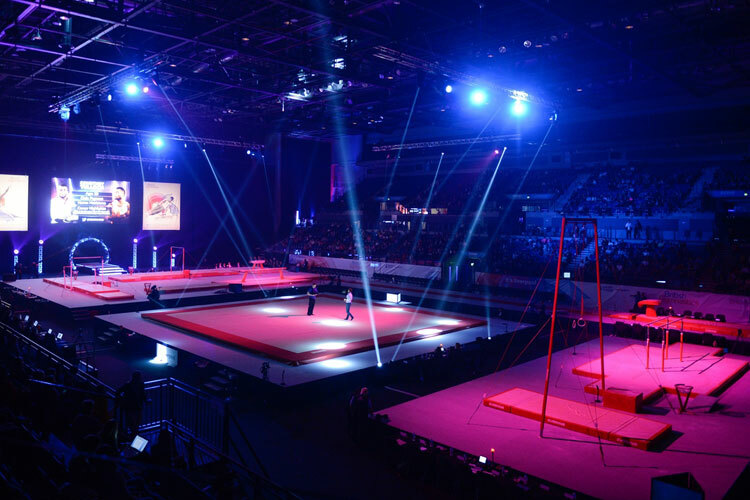 The 2016 British Gymnastics Championships concluded today with the women’s apparatus finals, the men’s masters and the disability apparatus finals. The men’s masters are the top eight highest scoring gymnasts from Saturday’s all-around event on each piece of apparatus across all age groups (under16, under18 and senior). 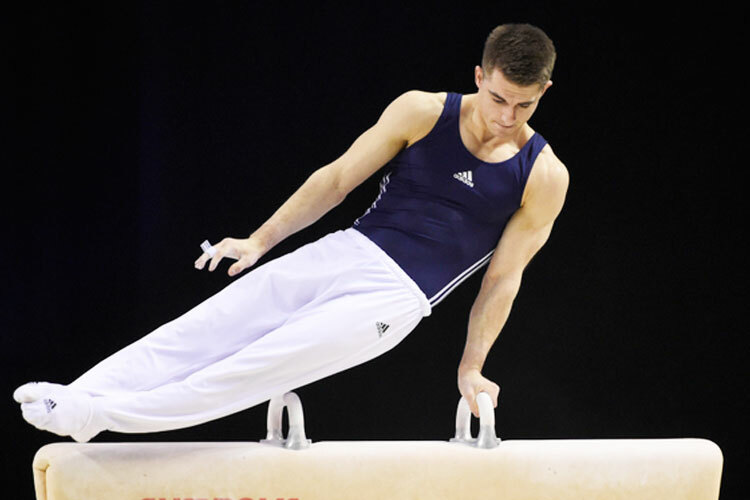 It was a real showdown on the pommel horse between GB rivals Max Whitlock and Louis Smith MBE. Louis performed a very difficult routine and set the bar high with a 16.100. The reigning world champion, Max could not be beaten however as he posted a 16.325 to take the top spot. In third was under 18 gymnast Rhys McClenagham from Rathgael who impressed with a 15.175 to take the bronze and stand on the podium shoulder to shoulder with his idols. 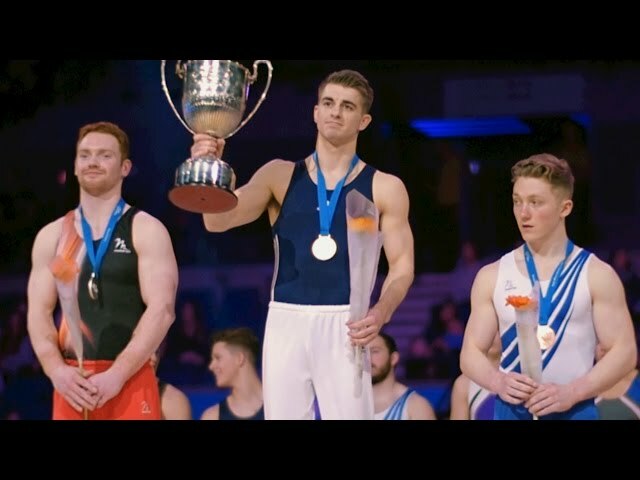 Max was also the highest scoring gymnast on the floor taking the title with 15.500, just ahead of Southport’s Dan Purvis (15.425) and Loughborough Students Sam Oldham (15.000). On the high bar, Leeds’ Nile Wilson took the gold with a confident routine full of difficult release elements for 15.325 ahead of Max (14.850) and Sam (14.775). On the men’s rings, world finalist Courtney Tulloch from Pegasus stole the show with some incredibly difficult strength work to take the title with 15.550 ahead of Nile Wilson (14.950) and Max Whitlock (14.750). Parallel bars gold went to defending champion Ashley Watson from Leeds who scored a strong 15.600, with the silver going to Max with 15.325 and bronze South Essex’s Reiss Beckford (14.825). Under 18 gymnast, Giarnni Regini-Moran from Europa powered his way to the vault title ahead of the senior field with an average of 15.100 with the silver going to Birmingham’s Dom Cunningham (14.912) and bronze to the City of Lisburn’s Ewan McAteer (14.237). 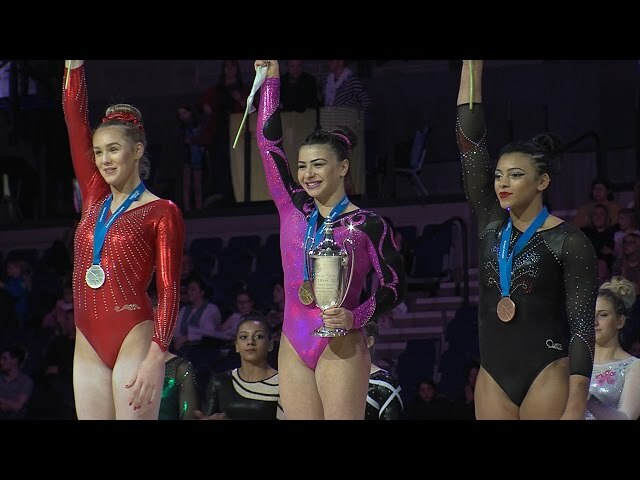 In the senior women’s events it was none the less exciting with some action packed routines from the top eight highest qualifying gymnasts. Ellie Downie was victorious with two superbly performed vaults scoring 14.787 to take the title ahead of Claudia Fragapane (Bristol Hawks) with 13.787 and the Academy’s Abigail Solari (13.512). There were some big skills over on the bars but with a number of falls, leaving the title and medal positions wide open. Gabby Jupp from Sapphire, who was only competing on the bars this weekend after coming back from injury, went through confidently and cleanly to take the title with 14.750. In silver was Becky Downie who performed a very complex routine but had to count a fall which knocked her from the top spot (14.425). In third place was the Academy’s Ruby Harrold who went cleanly through a new but difficult routine for 14.175. 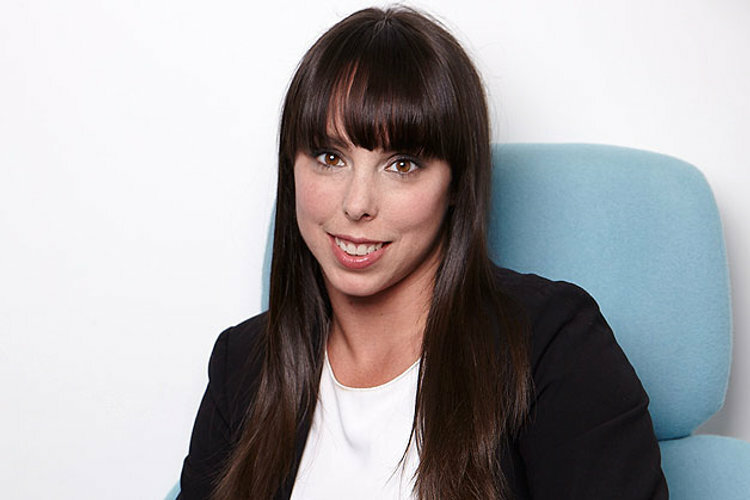 On the beam, Becky Downie looked calm and confident to take the title with a very impressive 14.750, Claudia Fragaapne took the silver with a routine that only looks set to get better scoring 14.075 and Ruby Harrold sneaked the bronze with 12.600 counting a fall. Finishing on the floor, it was South Durham's Amy Tinkler who retained her title from last year with a great performance for 14.350 ahead of pocket rocket Claudia Fragapane (14.275) with the Academy's Phoebe Turner clinching the bronze with 13.400. Full results can be found on our event page. 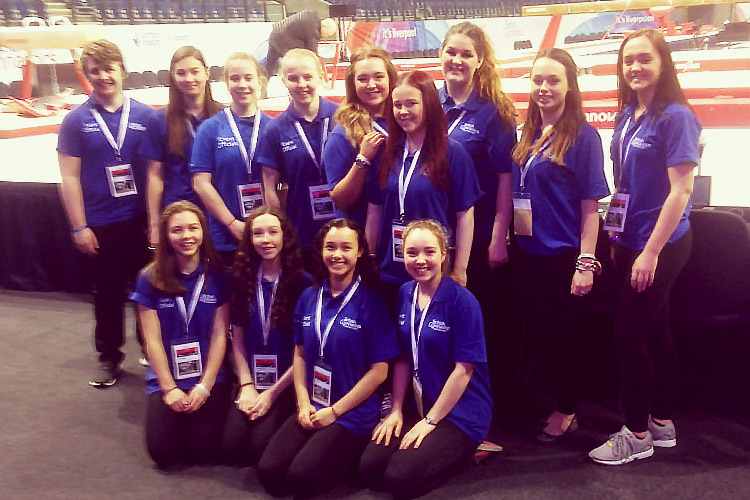 The junior women’s and disability finals were also extremely competitive with some great performances. You can find a selection of routine videos from the entire weekend on our YouTube channel as well as photo gallery on our Facebook page.